I suddenly had an urge to make a wallpaper. I wanted to use more vector shapes but I had no idea of what shapes to put in there, so I left it like it was. Curvy brushes by Ihea @ deviantart. Extraction I found at animerender.com. Flower brushes: Yasny-chan @ deviantart. 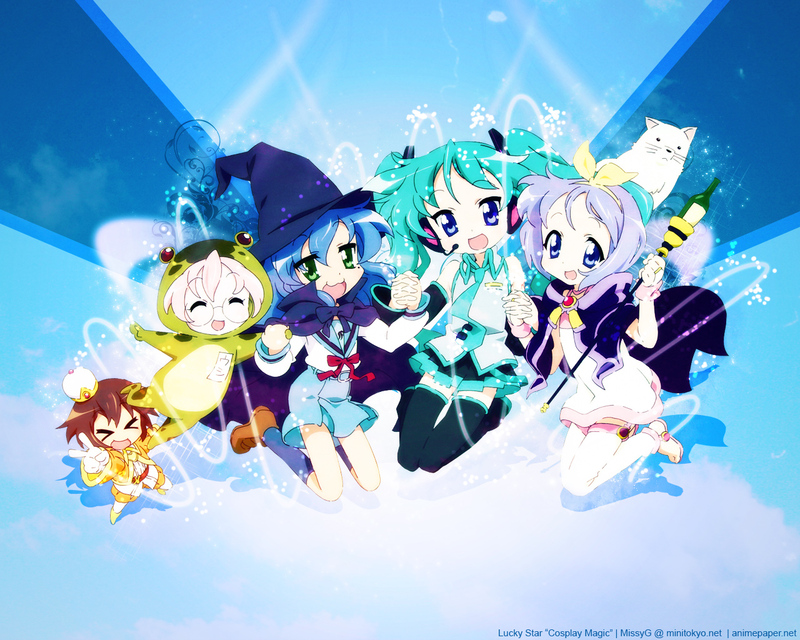 Lucky Star fan right here. Good! Thanks for the wallpaper! This is soooo cute! =) i really like it! So pretty & bright, great job!